ARE SOME ONLINE SAMPLING PROMOTIONS THAT SHOW NIVEA PRODUCTS A SCAM? Yes. There are several prevailing SCAMs, which we have reported to the ACCC scamwatch site, that show NIVEA products as the prize or sample. These SCAMs are phishing for your personal information. We recommend you do not click on them. These promotions are not run by NIVEA. Any sampling promotion run by NIVEA will be promoted via our official website, Facebook page, myNIVEA email or online with a link to our official promotion terms and conditions. 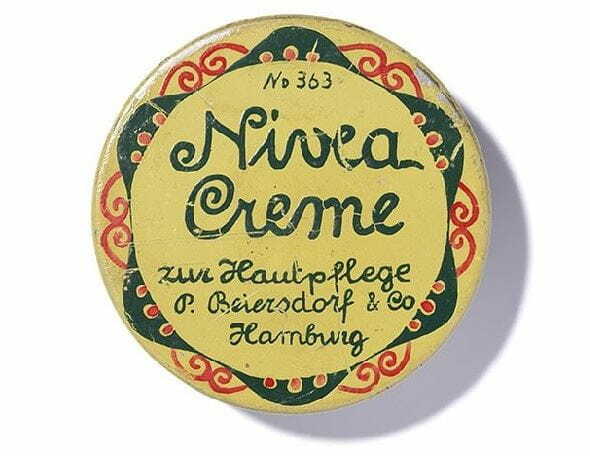 WHERE DOES THE NAME “NIVEA” COME FROM? The name NIVEA is derived from the Latin word "nix, nivis", which means "white as snow", due to the pure white NIVEA Creme. WHERE CAN I GET A SAMPLE OF NIVEA PRODUCTS? Samples of NIVEA Products are sometime given out on our official NIVEA Australia Facebook page. Furthermore, by registering for myNIVEA you can go into the running to receive samples and trial new products, which are only available to myNIVEA subscribers. The majority of NIVEA products are available from large retailers within Australia and New Zealand. Check the local availability as individual stock items do vary from branch to branch. Alternatively many NIVEA products are available to order online via retailer websites. CAN I ORDER PRODUCTS DIRECTLY FROM YOUR COMPANY? Unfortunately, we don’t sell direct, but a wide range of our products are available to purchase online via retailer websites. The quality, effectiveness and compatibility of NIVEA products has been held in high regard by consumers for 100 years. Without exception, all NIVEA products must stand up to evaluation by the volunteers before the products are launched. These human volunteer tests are carried out in our company's research department or by independent research institutes. These tests are overseen by a dermatologist or doctor who examines the results before a product can be approved. However, it is not possible for any manufacturer to totally prevent the possibility of an allergic reaction which can be caused by individual sensitivity to one or more of the ingredients. WHAT CAN I DO WHEN I EXPERIENCED AN INCOMPATIBILITY AFTER USING ONE OF YOUR PRODUCTS? Although our products comply with all safety regulations set by the European Cosmetic Directive, we are unable to guarantee that our products will suit everyone, as everyone’s skin is unique and behaves in different ways. The reason for the adverse skin reaction can only be traced by a dermatologist. First the dermatologist applies the finished product to the skin. In case of a positive reaction it is advisable to have a second test done with the single ingredients of the product, in order to find out the real cause for the skin reaction. On basis of the ingredients list (printed on all our products) you will then be able to identify if a product contains any ingredient you are sensitive to. CAN I GET A LIST OF ALL NIVEA PRODUCTS CONTAINING A PARTICULAR INGREDIENT THAT I HAVE A SENSITIVITY TO? The list of ingredients is listed on the container or package of the product. If you need a list of NIVEA product ingredients then please refer to the ‘Ingredients’ tab on each product page or contact NIVEA Consumer Services online or call us at Australian Phone 1800 103 023 or New Zealand Freephone 0800 696 483. In order to confirm skin compatibility, all Beiersdorf cosmetic products are subject to testing on human volunteers. These tests are performed under surveillance of a dermatologist. The claim "dermatologically tested" means that the skin compatibility of the product was substantiated by the test. IS IT SAFE TO USE BEIERSDORF COSMETIC PRODUCTS WHEN I'M PREGNANT OR BREASTFEEDING? All cosmetic products from BDF have been evaluated for safety and skin compatibility before a product is introduced into the market, as required by company policy and European law. This evaluation takes into account that most cosmetic products are used by female consumers of child-bearing potential and also by pregnant women. Therefore, all products placed onto the market by BDF are considered safe also for these subgroups of female consumers. This also accounts for women breastfeeding their babies. If a cosmetic product is to be used on the breast area, we generally recommend using cosmetic products not directly before but rather after breastfeeding on the breast area in order to avoid uptake of the cosmetic product by the baby. All our cosmetic skin care products are made to care for the skin and maintain its healthy look but not designed to be ingested by oral uptake. Therefore, the oral uptake of cosmetic products by babies during breast feeding should be avoided. WHY ARE THE INGREDIENTS LISTED ON THE PRODUCTS? The list of ingredients gives people with allergies the opportunity to check if the product contains substances that they may be sensitive to before they buy. This is made easier by the use of uniform names across Europe. Ingredients of botanical origin are listed by their Latin name. A dictionary has been prepared by an International Committee (INCI: International Nomenclature of Cosmetic Ingredients) that all manufacturers of cosmetic products are obliged to use. The highest percentage ingredient is listed first. The other ingredients are listed in descending order with colours listed last by their C.I. (colour index) number. WHERE IS THE USE BY DATE ON NIVEA PRODUCTS? All NIVEA products have a proven unopened shelf life of at least 30 months from the date of manufacture unless they carry a specific expiry or use by date. The PAO is denoted by a symbol that looks like an open jar and a number followed by M for months. This depicts the advised period of use after first opening. WHAT IS THE SHELF LIFE FOR NIVEA PRODUCTS? CAN I STILL USE NIVEA PRODUCTS AFTER THEIR EXPIRATION DATE HAS PASSED? For all NIVEA products we guarantee an unopened shelf life of at least 30 months from the date of manufacture unless they carry a specific expiry or use by date. Although the products will not be harmful after this date of expiration, active ingredients may become less effective. For this reason, we advise you to replace any unused products after the expiration date or if the product does look or smell different than usual. ARE BEIERSDORF AND NIVEA PRODUCTS BIODEGRADABLE? The ingredients we use must be provably effective and, at the same time, tolerable for consumers and the environment. This is checked during extensive studies and tests. Most of the ingredients in our products will biodegrade (e.g. detergents), at least slowly (such as paraffins). Silicones and inorganic compounds such as titanium dioxide or talc are of course not biodegradable. However silicones are subject to chemical degradation. In chemistry there is a group of substances with the general name "alcohols". Their physical states range from liquid to solid, with very different properties. When "alcohol-free" or 'no alcohol' is stated on a product, this refers to ethyl alcohol, ethanol or alcohol denat. Ethyl alcohol is also the alcohol in alcoholic drinks. In cosmetic products, ethyl alcohol has a refreshing and invigorating effect but can be over drying for certain people who are particularly sensitive. In the list of ingredients on the packaging, ethyl alcohol is listed as "alcohol" or "alcohol, denat". The aliphatic alcohols (e.g. cetearyl alcohol or lanolin alcohol) are solid substances that do not have this drying effect. They are used, for example, as emulsifying agents with a nourishing effect, which give the product the required consistency. WHY DO COSMETIC PRODUCTS HAVE PRESERVATIVES? It is thanks to preservatives that face and body creams do not need to be stored in the fridge. Without preservatives, products would spoil within a very short period of time. Microorganisms such as bacteria and mould, which generally get into the product through contact with our skin and spread easily in aqueous cosmetics, are the cause of this. The result: products become contaminated, they lose their effective properties and, in a worst-case scenario, sensitive skin reactions may be experienced. Preservatives hinder the spoiling of cosmetic products so in consequence protect your skin. By using preservatives, NIVEA can ensure that the quality of its products is preserved for a longer period of time. WHAT CAN I DO WHEN MY PRODUCT RUNS SHORT BUT THERE IS STILL SOME AMOUNT LEFT IN THE PACKAGING THAT I CAN’T TAKE OUT AS NORMAL? According to the European Directive 76/211/EEC we are always making sure that the quantity named on the packaging can be taken from the pack. If the packaging does not allow for all filling to be removed from the bottle we overfill to some degree so that it is ensured that you will receive the quantity stated on the packaging. In case of pump bottles, a small space is required between the bottom of the pump and the bottle to aid dispensing. With this packaging design even more residues might remain in the pump bottle compared to regular bottles. Apart from the fact that it is ensured that you are able to take out the quantity stated outside on the bottle, the cap can be screwed off so that all residue can be taken from the bottle. The same procedure can e.g. be applied on other products in regular bottles (milk, lotion, shower gel etc). MIGHT BEIERSDORF BE INTERESTED IN SPONSORING…? For Beiersdorf (the company behind the NIVEA brand), “care” is not only part of our business it is a key value that represents our corporate responsibility to people and the environment. With this in mind we have selected two charities with which we partner. Our first, the SISTER2sister Program, part of the Life Changing Experiences Foundation which empowers youth “at risk” to make positive life choices for a better future. Secondly, Look Good Feel Better, a cosmetic industry initiative helping improve the wellbeing and confidence of cancer patients.